Wizards of the Coast still owns Dungeons & Dragons - and Hasbro still owns Wizards of the Coast - but the legendary company that created the role-playing game, TSR, has returned to the material plane and summoned its first product, a gaming magazine appropriately named Gygax. GYGAX Magazine is an exciting venture from Luke & Ernie Gygax (Gary Gygax's sons who helped create much of what fans know as D&D), Tim Kask, the original editor of Dragon magazine, and Jayson Elliot, publisher and creative director of the project. In the spirit of the original Dragon magazine, GYGAX hopes to rekindle the old school spirit for a new generation of gamers. 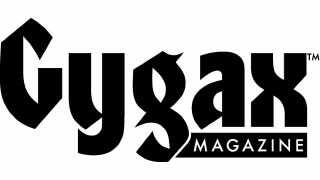 GYGAX magazine will focus on the entire tabletop gaming hobby and community. The magazine will focus on the overall dedication to the gaming hobby, but will give a healthy amount of attention to the 1st and 2nd editions of AD&D, Pathfinder and D&D Next. Popular gaming systems such as Cortex +, ORE, WH40K RPG, etc. will be featured each quarter, giving GYGAX magazine a well-rounded feel with content that appeals to every gamer. Update: Luke Gygax wanted me to clarify that the new TSR obviously has no connection to the properties of the old TSR, since those are owned by Hasbro/WoTC, and that the magazine was named Gygax to celebrate "a love of Gaming that [their] father fostered and developed in all of his six children" and not after Gary Gygax specifically. You can sign up to be notified when the first issue hits stands, both real and virtual, here.